When the younger players in India's cricket team find out that advertising executive Zoya Singh Solanki was born at the very moment India won the World Cup back in 1983, they are intrigued. When having breakfast with her is followed by victories on the field, they are impressed. And when not eating with her results in defeat, they decide she's a lucky charm. The nation goes a step further. Amazed at the ragtag team's sudden spurt of victories, it declares her a Goddess. So when the eccentric IBCC president and his mesmeric, always-exquisitely-attired Swamiji invite Zoya to accompany the team to the tenth ICC World Cup, she has no choice but to agree. 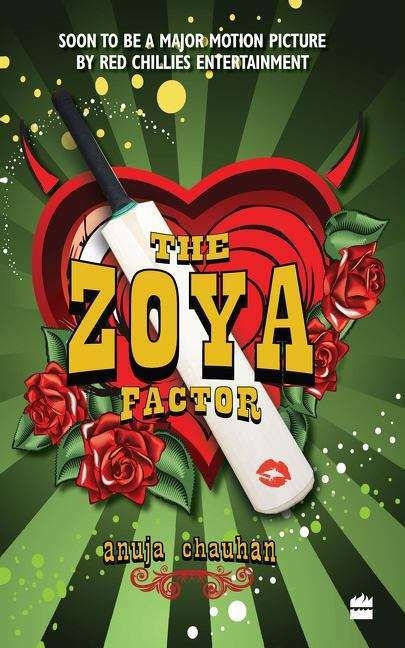 Pursued by international cricket boards on the one hand, wooed by Cola majors on the other, Zoya struggles to stay grounded in the thick of the world cup action. And it doesn't help that she keeps clashing with the erratically brilliant new skipper who tells her flatly that he doesn't believe in luck..